Earn up to 775 reward points. Oak finish with black velvet top. This attractive, adjustable piano bench offers a comfortable seating area, and comes in many different finishes so you can find the one that matches your décor perfectly. It is adjustable in height to accommodate different playing environments, and makes a sturdy, wobble-free purchase onto the floor. 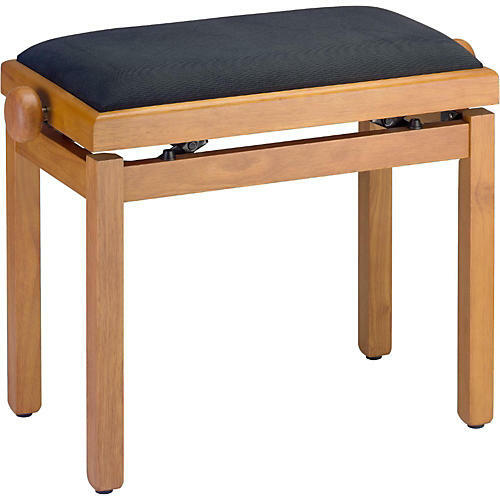 Handsome and sturdy, it is the perfect bench for your home music room. Handsome, comfortable piano bench. Order today.